On Wednesday, August 8, 2018, from 2–3 PM EDT, Marlisa Brown, MS, RDN, CDE, CDN, will share actionable skills to help you to motivate your patients to overcome their roadblocks and achieve better compliance and long term success. Marlisa Brown MS, RDN, CDE, CDN, is an award-winning registered dietitian, chef, author and public speaker. 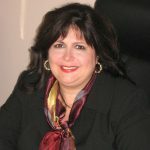 She is president of Total Wellness Inc., in Deer Park, NY, a nutritional consulting company for over 2 ½ decades, specializing in diabetes, cardiovascular disease, gastrointestinal disorders, gluten-free diets, culinary programs, corporate wellness, and medical nutrition therapies., Marlisa has written 3 books on gluten-free diets and foods allergies and has contributed to 11 additional programs and books.